In the 1870s a railway was constructed from Waterford to Dungarvan, to link up with the Mallow, Fermoy and Lismore railway which had slowly been under construction since the late 1850s. 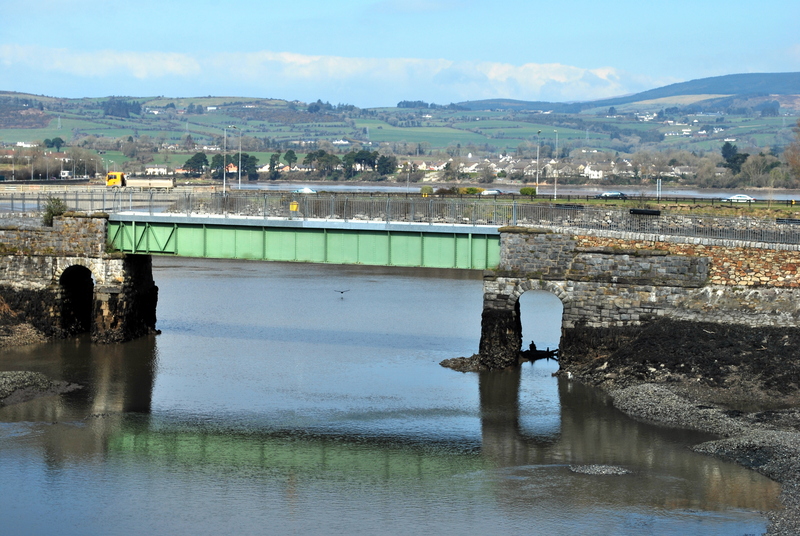 The station in Dungarvan, of which there is not much left, was to the west of the Colligan estuary, with the viaduct shown here very near by. The line was in use till the 1970s or 1980s, with the track lifted in the mid-1990s. In the past ten years it has been converted to a walkway and is now very popular in the town. This photo was taken from the attractive stone road bridge just south of the old railway. Here is the map link as always.